We have values and we create value. You N.A.M.E.® it and we might just do it. N.A.M.E.® is a unique online community providing members with a premium service and forum for business and social networking, activities, marketing and entertainment services. 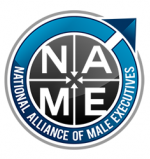 N.A.M.E.® recognizes male executives who have achieved professional success as well as those looking to further their career, expand their business opportunities and enjoy the finer things in life. Our mission is to make our member’s lives easier by providing the “Best of the Best” options for business and personal services. Our user-friendly database and professional staff will assist you with networking and potential business connections, Search engine optimization and Branding services, discounts and perks and much more.